Well kept, charming Woodland Park home. This converted summer camp building in Sunnywood Manor is full of history, but has modern upgrades like newly remodeled bathrooms and new main level flooring. Generously sized rooms, wood-burning fireplace with wood stove insert warms the oversized living room. Master suite on main level with 3 bedrooms on upper level. Large .6 acre lot. 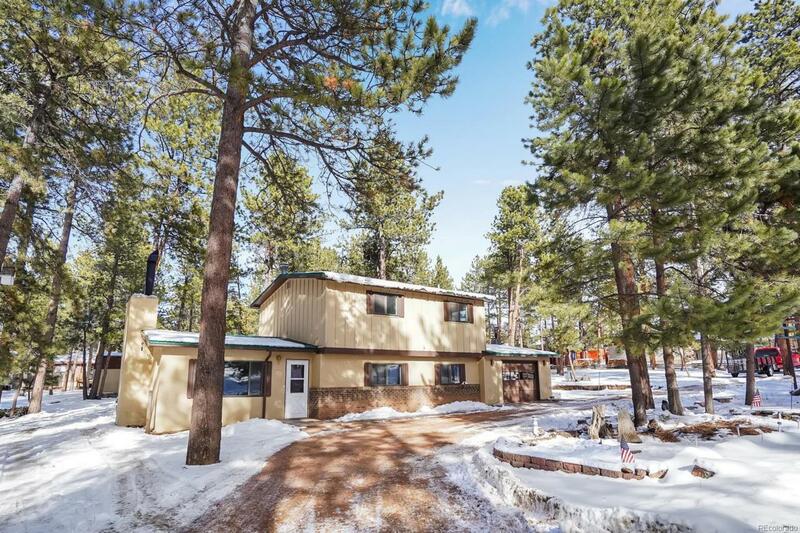 Peaceful, treed, lots of wildlife, with privacy wall on concrete patio. Large shed included. Quiet and tranquil. Full use of lot.